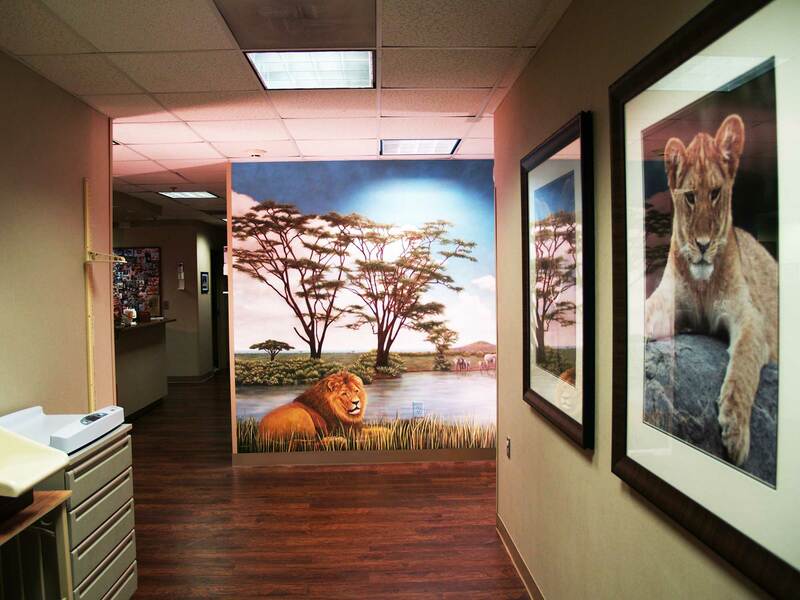 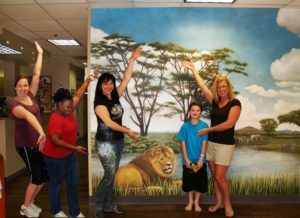 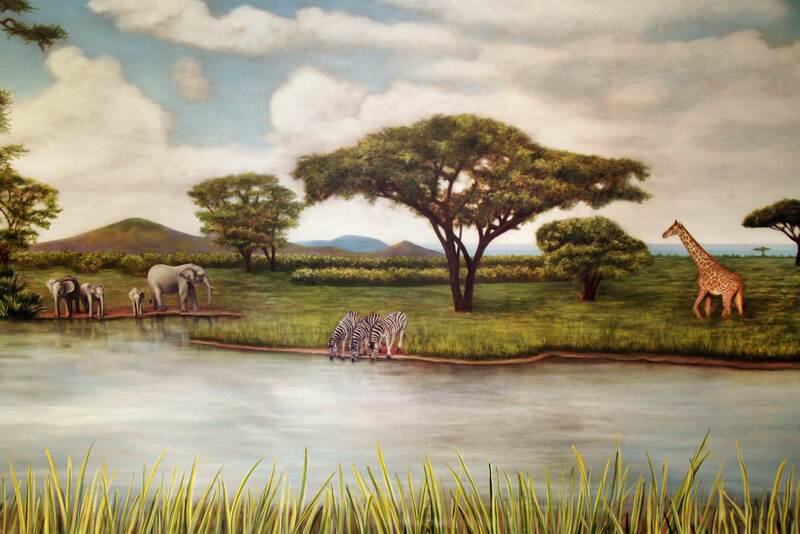 Megan painted this safari themed mural on canvas in the studio then installed it on location in a medical center. Featuring a big sky and watering hole, with a lion, a giraffe, zebras, elephants, birds, the mural really added life and the illusion of distance to this hallway area. Megan replaced an existing mural with the new mural on canvas, installed in only one day, as soon as renovation of the doctor’s office was complete. Megan always advises clients who ask her to paint safari themed murals to consider the placement of the animals in the composition. It’s important to include the animals people want to see in an African mural, but also to make sure they aren’t scary to the viewers by placing them in docile poses. 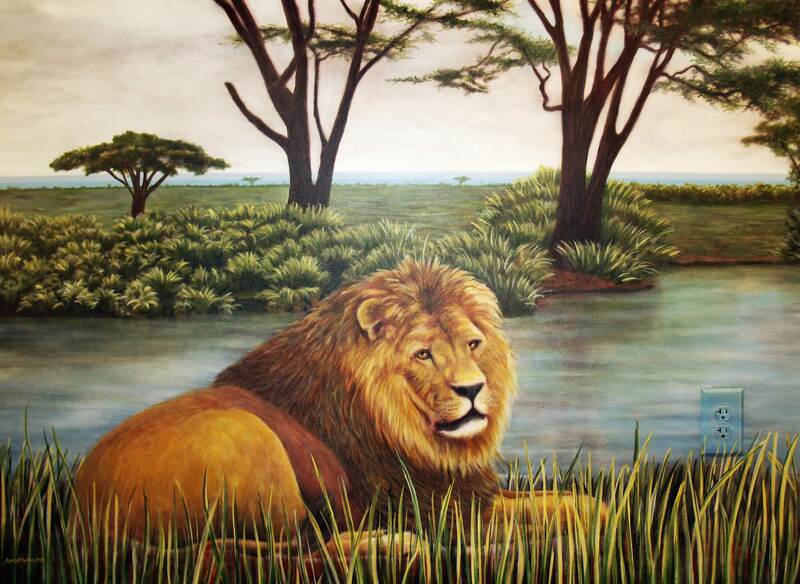 For example, the lion is sitting on the side of the watering hole with his back turned to the viewer, so even though he is in the foreground of the mural and looking in ¾ view towards the viewer, he is not challenging the viewer by facing him directly and looking at him directly. In addition, Megan advises her clients to be able to fit more animals in a safari mural without overwhelming the viewer or the room, by making them smaller in the distance. 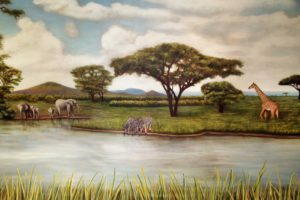 The big sky and water lend lots of atmosphere and space and do not close in the hallway, while the animals peacefully hangout in the middle ground of the mural and invite the viewer to come closer to see the beautiful detail. 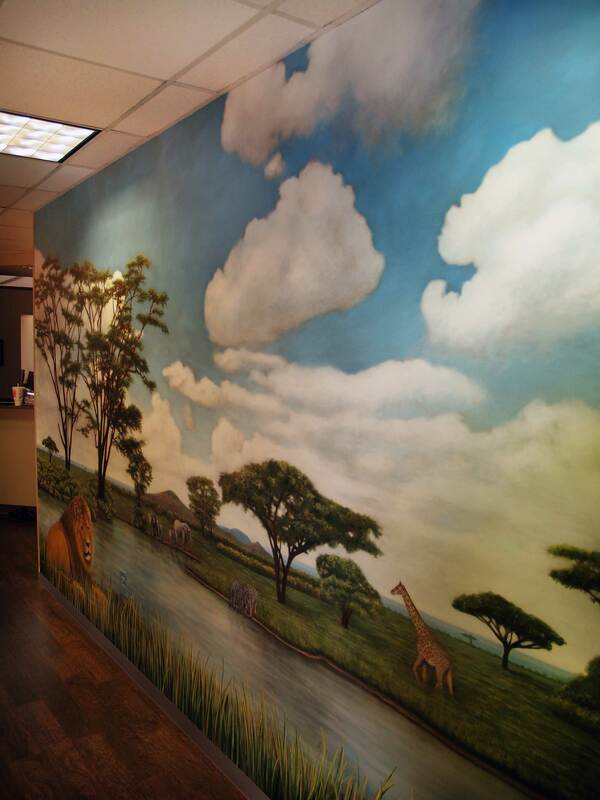 As this doctor’s office serves children, Megan also planned the animals at a low height on the wall to be closer to the eye level of more kids. 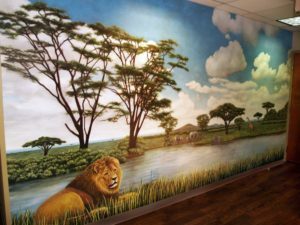 This mural on canvas will continue to bring joy to all the children who visit the doctor, and to continue the safari theme the designer established with framed safari photographs around the large waiting area and all the examination rooms. 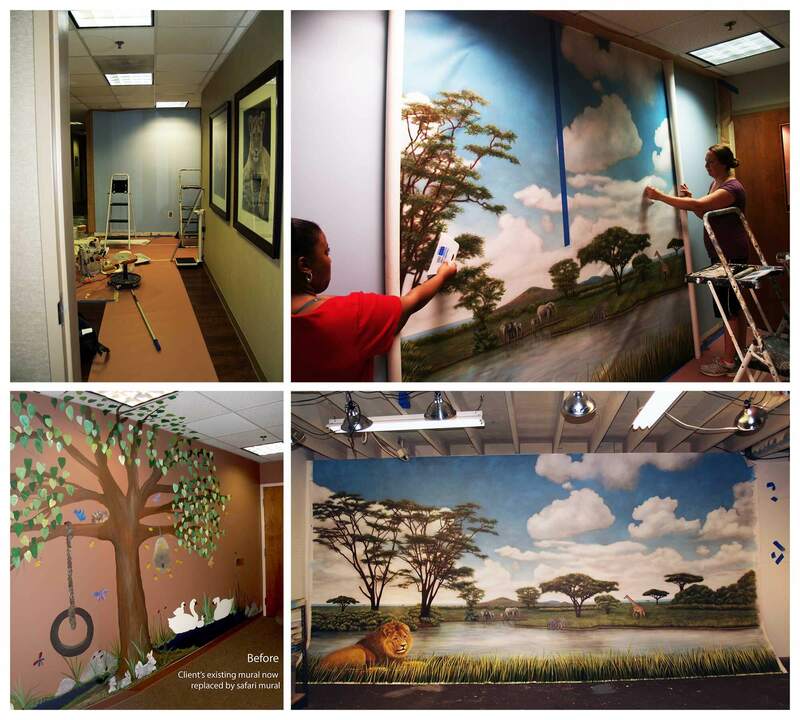 If the office decides to relocate, Megan will be able to remove and reinstall the canvas mural on a new wall.